The Museum’s Fourth Plinth initiative was inspired by sculptor Antony Gormley’s ‘One and Other’, the Mayor’s Fourth Plinth Commission for Trafalgar Square, London in 2009. The plinth was continuously occupied over a period of 100 days by members of the public who each spent one hour in an activity of their choice. For the Eccentricity exhibition we invited submissions of objects rather than people for our own specially created Fourth Plinth. Antony Gormley concludes the sequence of exhibits with an idiosyncratic take on one of his own works. 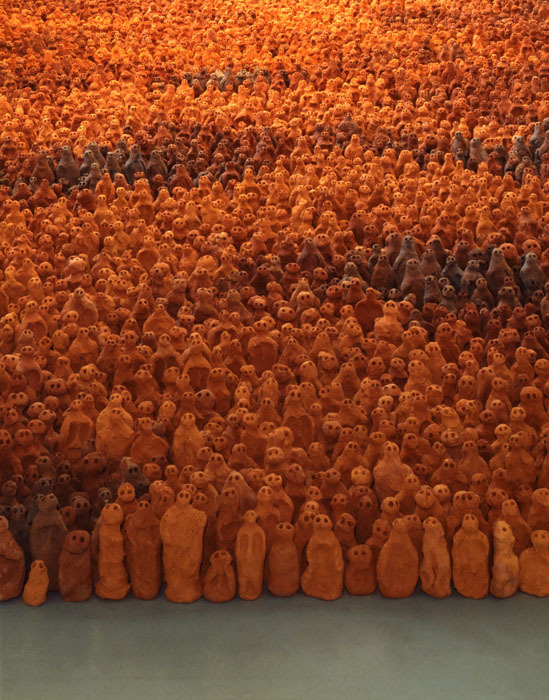 ‘Field for the British Isles’ was created in 1993 as a vast assembly of some 40,000 terracotta figures. Rather than that overwhelming multitude we are exhibiting a single, solitary figure from the Field installation. A poignant moment for an individual on an eccentric outing?